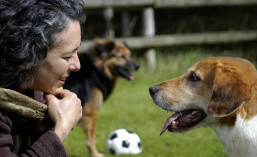 Kathy Sdao is an applied animal behaviorist. She has spent 30 years as a full-time animal trainer, first with marine mammals and now with dogs and their people. As a graduate student at the University of Hawaii in the 1980s, she was part of a research team that trained dolphins to solve complex cognitive puzzles. She received a master’s degree in experimental psychology and was hired by the United States Navy to train dolphins for applied open-ocean tasks. 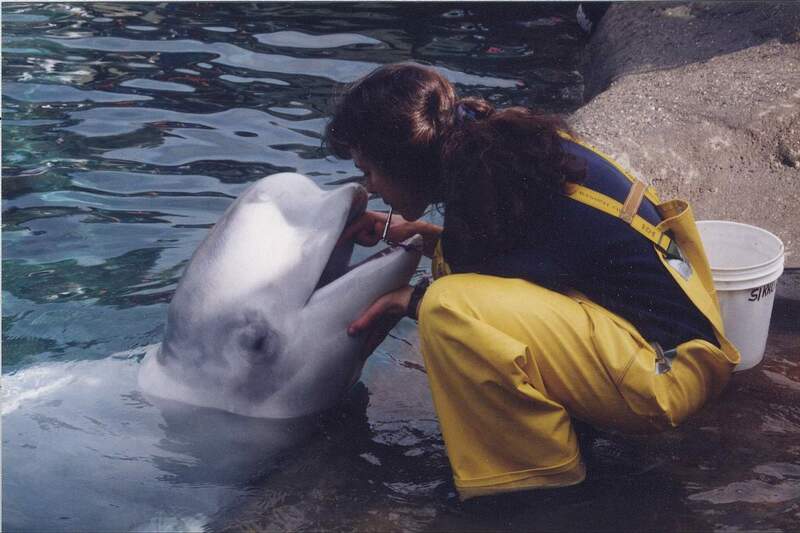 After that, Kathy spent five years as a marine-mammal trainer at the Point Defiance Zoo & Aquarium in Washington. There she expanded her training skills by working with beluga whales, walruses, porpoises, sea lions, otters and polar bears. After leaving the zoo, Kathy and a colleague created Tacoma’s first dog-daycare facility, Puget Hound Daycare, where Kathy began teaching clicker-training classes for pet owners. 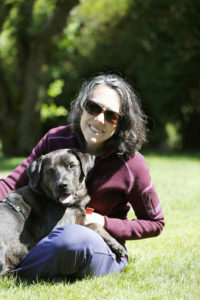 Since selling Puget Hound in 1998, Kathy has owned and managed Bright Spot Dog Training. Services include consulting with families about their challenging dogs, teaching private lessons to dogs and their owners, and coaching novices and professionals to cross over to positive-reinforcement training. 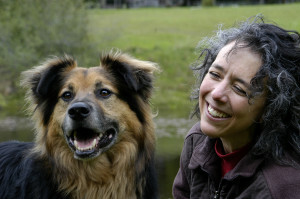 In addition, she has trained animal actors, written for The Clicker Journal and the Seattle Times, consulted with Guide Dogs for the Blind and with Susquehanna Service Dogs, served as a subject-matter expert for the Delta Society’s “Service Dog Education System” and taught at the Instructor Training Courses hosted by Dogs of Course. And, in a s illier moment, Kathy appeared as the “Way Cool Scientist” on an episode of the television show Bill Nye the Science Guy. Kathy is proud to be one of the original faculty members for Karen Pryor’s long-running ClickerExpos and has taught at thirty-five of these popular conferences since 2003. Kathy also has traveled across the United States, Canada & Europe, and to Australia, Israel, Japan and Mexico, educating students about the science of animal training. She’s taught more than 250 seminars, workshops, conference presentations & webinars, enjoying these opportunities to share her passion for the incredible power of positive-reinforcement training, confirmed over decades of working with dozens of species.